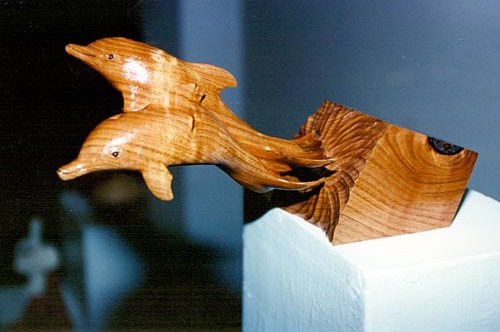 I carve 8 different dolphins and porpoises. I will carve the one you want in either Basswood or Butternut. Dolphins and porpoises are mounted on your choice of a basic stand, or burel. You can expect to receive your request about three weeks after your order is placed. 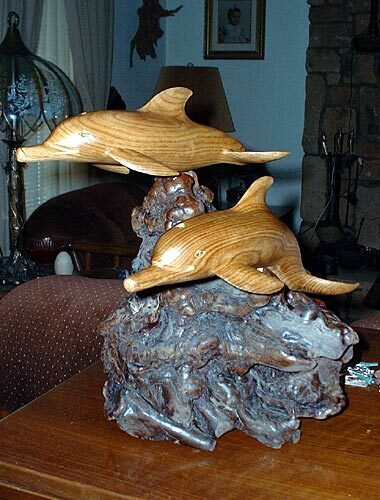 Three Dolphins carved in Butternut. Copyright © 2019 St. Nick’s Workshop.